There are a few things to look at when picking out an SRL for wind energy work: body worn vs. mounted, leading edge and foot level, and variations. Larger SRLs are mounted above the worker, and the lanyard runs down to connect to the user’s dorsal D-ring on their harness. These come in lengths ranging from 8 ft to over 100 ft. The other option is body worn. These are compact devices which connect directly to the user’s harness and are much shorter, generally 6 or 8 ft. To tie-off, the user connects the tether to an anchorage point. You can also get these in twin-leg configuration for 100% tie-off. Most SRLs are designed only to be mounted above the user. For cases where this is not possible, specially designed Foot Level or Leading Edge SRLs are required. ANSI classifies these as SRL-LE devices. These incorporate factors to absorb the extra energy associated with foot-level tie off, as well as more robust cables to resist breaking when ran against a leading edge. (1) Sealed design for harsh work environments with grease, dust, and moisture. (2) Rescue Devices, referred to as SRL-R by ANSI, for auto retrieval. These are common on confined space systems. (3) Tie-Back for when connectors cannot secure to anchorage points. (4) Arc Flash rated for working in electrical environments. 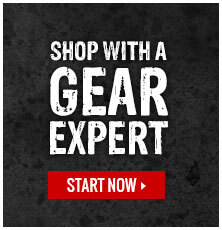 For more information about SRLs check out our knowledge base or contact one of our Gear Experts®.